“Modern Ritual is not an event you can imagine taking place at many UK festivals beside Supersonic, one of the many reasons why the festival’s continued existence is so necessary. It’s a set comprised of two writers and three musicians. Jennifer Lucy Allan (The Wire, The Quietus) gives a talk on the history of the foghorn, fifteen second fragments of information are delivered between each burst of foghorn, the colossal sound both funny and slightly unnerving. Where Allan’s talk centered on the sea, Luke Turner (The Quietus) explores our messy relationship with woodlands, discussing his own unsuccessful attempts to find solace within them, but also the radical opportunities they open for those whose sexuality has not been historically permitted. THE GUARDIAN Full Interview with Ben Beaumont-Thomas (Online & in print G2). Full page review in the August 2015 Wire Magazine and you can also hear tracks and read part of The Wire review HERE. With Richard Skelton & Rob St John. Laura Cannell’s set played on acoustic instruments is quite the change of atmosphere. Cannell, whose landscape inspiration comes from the Norfolk and Suffolk borders, drags early music into a contemporary sphere, most recently with a remix record featuring the likes of Ekoplekz, Kemper Norton and Hacker Farm. Tonight she uses twin recorders and violin played with the wood of her bow under the body of the instrument, the strings above, creating a scraping drone. Her music is based on fragments of ancient pieces, such as work by 12th century visionary Hildegard Von Bingen and The Cantigas de Santa Maria, a set of medieval poems. ‘Deer Bark’ is, she says, “based on the sound of deers barking in the woods by my house and a piece by Henry VIII”, and makes use of her recorder as an instrument to convey the sound of breath as well as melody. Cannell taps into the connection between landscape and the sacred with music that stretches time. 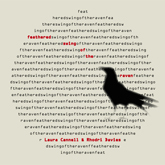 Fragments Of Fragments: An Interview With Laura Cannell. 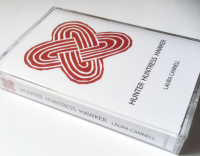 “Recorder and harp is not a combination we’ve previously encountered, so it might be fair to say that this is the best recorder and harp album we’ve ever heard. 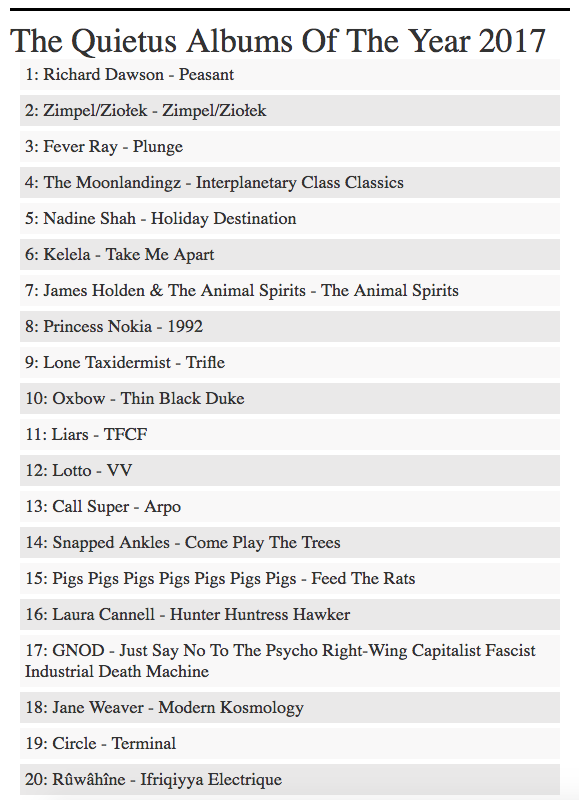 But it would also be fair to say that this is an excellent album in any category. The listener’s first task is to put aside any expectations about the sound. Many of us played the plastic recorder as children, then laid the fragile instrument down; and many consider the harp to be a new age ensemble instrument. Yet Feathered Swing of the Harp has more in common with the avant-garde than the mainstream. It’s as much a drone album as one of modern composition; a fair portion is improvised. 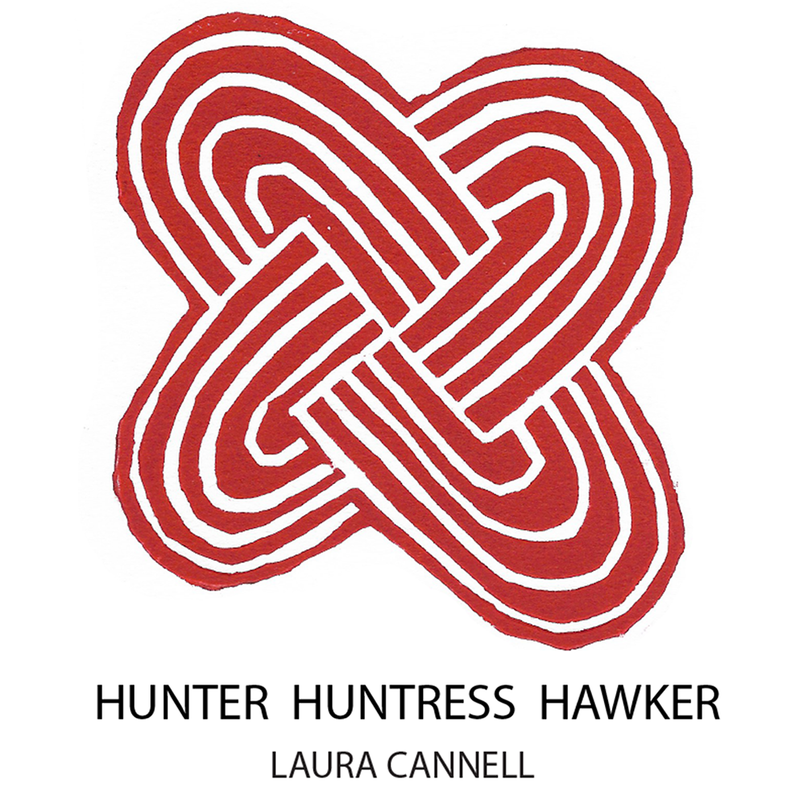 Laura Cannell animates double barreled recorders (the renaissance alto and baroque soprano), while Rhodri Davies draws a double bow across the harp, making it sound like a cello. Together, they fill the sonic field, often coming across like a quartet. The flatlands and reedbeds of Norfolk are said to be an inspiration. The album’s aura is suitably expansive: wide swaths of sound over which a raven might to fly. A slight air of ancient melody is present as well, a nod to Cannell’s Renaissance leanings. The first two pieces act as warm-ups: the improvisations of “The Glimmering” followed by the reedy highs of “Desperada”. But then the duo delves into dissonance, and the mood darkens significantly. At this point, by turning its back on life, the album – ironically – comes alive. ” Grazing into strange meadows….From their beginnings as an enjoyable, slightly quirky, folk-inflected early music band, Horses Brawl have developed into a very different outfit indeed. Founding member Laura Cannell now plays with new guitarist and harmonium placer Andre Bosman. They still use renaissance and medieval tunes as a starting point, but the worl their music inhabits is much darker, suffused with a bleak beauty, and built of a relentless, almost obsessive examination and re-examination of fragments – particals of shattered dances, love songs and songs of praise. 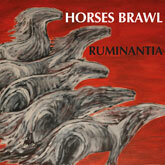 “Horses Brawl return with their fifth album, the intriguingly-named Ruminantia, which is a class of ruminant animals, including sheep and deer if you were wondering. The album was recorded using single takes, and the resultant sound is therefore both impressive and raw, unimpeded by over-production or perfectionism. That is not to say there is anything rough though, this is a striking set of tunes played with skill. Laura and Andre play an unusual set of instruments: fiddles, recorder, guitars and harmonium, which allows for some curious combinations such as the hardanger fiddle and Indian harmonium that appear on Brid one Brere. They combine in a percussive piece that meditates around a theme in a slightly hypnotic manner. Trip to Paris is a different affair entirely, and an upbeat opener to the album. It is based on a traditional English country dance tune, but the harmonium draws the music towards the continent, particularly in the repeated emphasising low notes. The Medieval and Renaissance periods are well represented with the Renaissance alto recorder on Onse Vader and Magister particularly well played. Making recorders enjoyable to listen to is mean feat if the listener has ever had to sit through a school concert, but these are a delight. 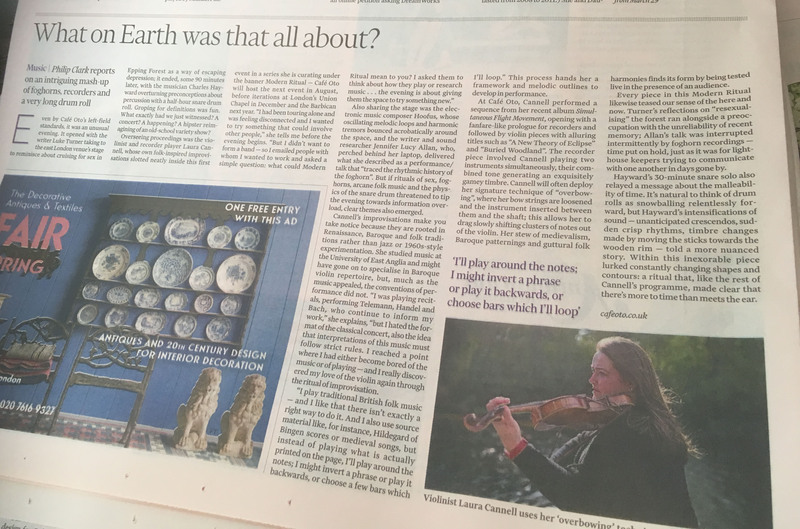 “Over the last decade, Laura Cannell and various collaborators have explored medieval folk and church music as Horses Brawl. Their fourth album marks the debut of a new line-up, with Cannell’s conservatory training and self-taught folk chops allied to the more experimental background of Andre Bosman, who, as Hoofus, makes so-called “sine wave and sample based music”. This series of duets alternates between contemplative religiosity and – when the fiddles pick up the tempo a notch or two – the occasional, more celebratory, mode. The tracks on this album are virtuoso improvisations based on fragments of ancient tunes. The drones of Bosman’s harmonium create a spooky mood, while over the rhythms of his guitar and acoustic bass guitar, Cannell overlays melodies on recorders, hardanger fiddle (an 8/9-stringed violin, rather than the average four, used to play traditional Norwegian music), and the wonderfully named crumhorn (a Renaissance woodwind instrument). The jaunty fiddle of opener ‘Trip to Paris’ is about as upbeat as the album gets, while the pace tends towards the funereal on occasions. The harmonium is reminiscent of Philip Glass’s droning, haunting minimalism; while melodies are layered in a way that sometimes, to modern ears, hints at dissonance. Horses Brawl have featured on Radio Three’s Late Junction and received an Arts Council grant, and their music has a whiff of the uncompromisingly highbrow. This is pretty austere stuff, without much of the joyousness evinced by their peers, festival favourites A Hawk and a Hacksaw. 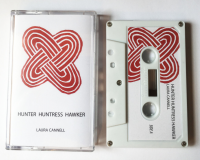 “There’s an unearthly, vaporous, almost elemental quality flowing through ‘Ruminantia’ from Horses Brawl, with contributing elements quarried from the depths of traditional and medieval, overlaid on contemporary experimental directions. A plethora of finely crafted music entwines control with improvisation – in the same moment it’s ancient and embryonic, disciplined and liberated. 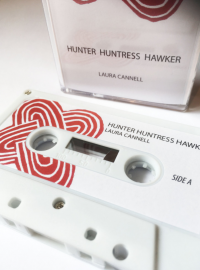 According to Horses Brawl – that’s Laura Cannell and Andre Bosman – the album was recorded in single takes and minimally mixed to create an intimate encompassing feel. That much is certainly true and it’s an approach that reveals considerable presence. It takes but a second to feel you’re right there with the performance. On ‘Ruminantia’ Laura plays fiddle, hardanger fiddle, recorders and crumhorn while Andre plays guitar, acoustic bass guitar and Indian harmonium. There’s a catalytic interaction between these instruments that’s on occasion gentle and calming, while at others almost quarrelsome and combative. It’s those combinations that make this album inspiring and intriguing. Among the album’s nine tracks there’s the spirited dance ‘A Trip to Paris’ the lingering beauty of the love song ‘Brid One Bere’ the soft yet insistent engagement of ‘Isabella Dansa Alta’ and the sonorous depth of ‘Magister’. 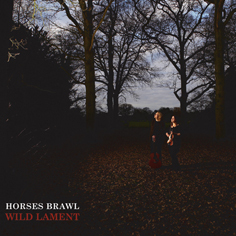 “Horses Brawl is currently a duo, consisting of Adrian Lever on prepared and bowed guitar and Laura Cannel on fiddle, a collection of recorders and on crumhorn – a capped double reed medieval instrument. They use these resources to create music that was at one moment delicate, reflective, gentle and often plaintive; at other times driving, intense, dynamic and dramatic. An affection for the music deepened as the concert went on, and the audience assimilated the different sounds created with a limited palette of instruments. Often this was done by the creation of antique sounds on modern instruments by the use on the fiddle of a lighter baroque bow or the use of a heavy viol bow and metal mute to recreate the rare Welsh fiddle, the crwth. The simple addition of clothes pegs muted the sound of a modern metal stringed fiddle to create a gut-stringed viol sound. The excellent intricate guitar work relied on lots of different open tunings; on occasion the use of an oyster card or piece of sponge, or on one lovely piece the use of a bow to create sad long sustained sounds, typical of the ancient forerunner of the modern guitar. Fascinating as their undoubted technical and musical virtuosity was, even more fascinating was their creation of a patchwork quilt of different music from different backgrounds, times and geographies. A typical piece might have started with a Welsh traditional gaillard, move on to a Bulgarian wedding tune and finish on a 13th century estompie – a hopping dance of the era in which we were all invited to participate! An early French dance tune was married to a French chanson and finished with a contemporary Irish minuet. Bewildering, maybe, but it did work, the joins were perfect and seamless – each part complementing in a wonderful interconnectedness; fusion music, a dreadful and overused term, if you like, but of a different and more magical nature. What it did conclusively for me was to render inane the use of boxes and labels – early music, Renaissance music, folk music and medieval dance music etc. – all of which have frequently been used to describe these musicians and their various styles. Their music to me is about demonstrating the common roots and interconnections that link all these music and traditions, and the echoes and valid relationships that have passed down into more modern music and especially what is termed contemporary folk music. They seemingly reinvent the medieval musical world into the modern, while creating a very satisfying, cohesive and organic whole that made this a very rewarding evening.